Sorry about the F-word, but it's true. 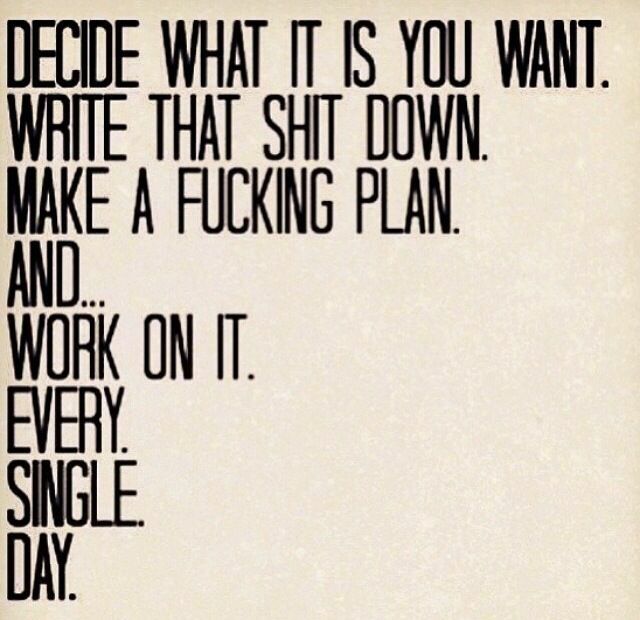 If you want to be successful at something, you need to follow the plan, work at it every day, no exceptions. Don't stop working at it when you think you made it, keep working to keep your reward. Practice and dedication can make your dreams come true.